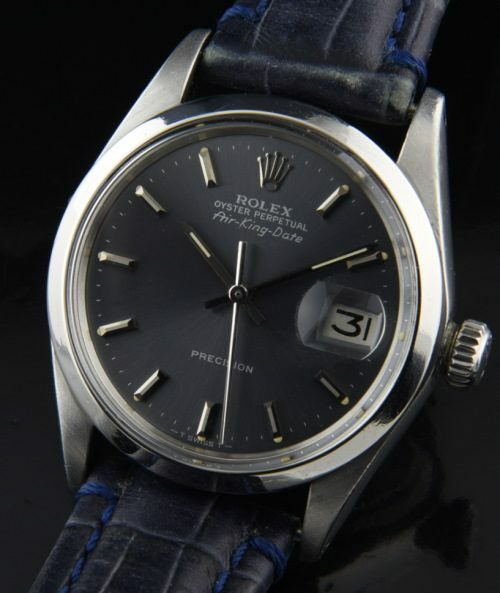 This 1972 ROLEX AIR-KING Date has a stunning (uncommon) original slate gray dial with steel baton markers and hands. The 34.5mm. stainless steel case looks very fine and is without any major dings or scratches. 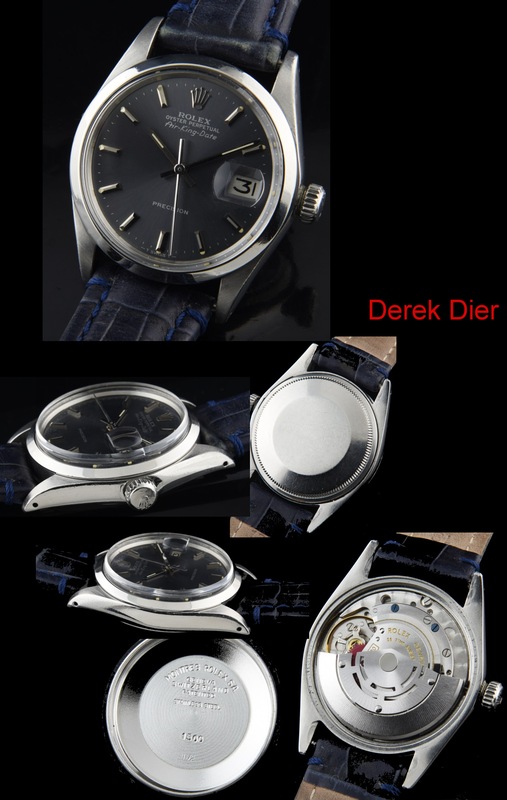 The automatic winding movement was just cleaned and is accurately keeping time. The Air-King date was only produced for the Commonwealth market (Canada, Australia, U.K. etc.) and is a becoming difficult to find. Air-Kings were mass produced WITHOUT the date, making this a very interesting and future collectible watch. I believe these Air-King dates will escalate in value in the future.